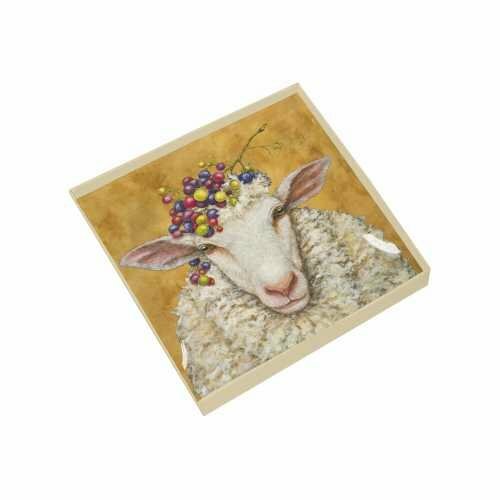 The Vineyard Sheep Glass Plate comes in a decorative gift box. It is 5.75″ x 5.75″ and covered with an acetate top. Food Safe and Hand Wash.